This is an alternative to the standard iOS keyboard. Although this might not sound too exciting, the App provides some great improvements over the standard offering. This includes making the keyboard invisible so that you are really touch typing. The greatest asset is possibly the vastly improved predictive spelling. There are also options to have various audio feedback (keyboard clicks, typing sounds, and voice feedback), as well as making the keyboard one row shorter by removing the spacebar row (this leaves more real estate for the rest of your screen). Using a QWERTY keyboard, type "rjia". The standard iOS will merely type "rjia" and underline it as incorrect. Now try the same with the Fleksy keyboard and it will guess you really meant to type "this" and merely hit neighbouring keys; impressive. 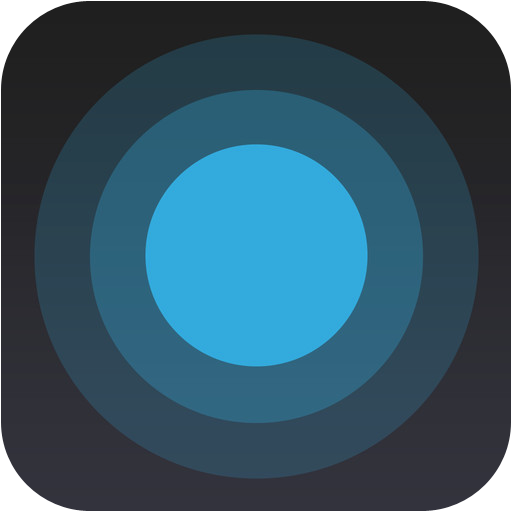 Simply use Fleksy and then touch the blue button and chose email, message, Twitter, or Facebook; your typing will then be directly transferred to the appropriate App. For Apps that do not directly support Fleksy, simply select the text and paste into the App that you choose. This brilliant keyboard (or rather the people who developed it) is convincing more and more other developers to add support from within their application. This means that you can use Fleksy instead of the standard iOS keyboard. Unbelievably, this App is absolutely free. You obviously need a keyboard on your iOS device; this one makes some things much easier and more accurate. As previously mentioned, the predictive text is truly awesome. The one thing which is worth noting is that 'installing' Fleksy onto a supported App is a bit unusual. Here's how to do it (and save yourself a lot of time): in the destination App (not Fleksy), highlight some text to copy; you will notice that you have Select, Select All and Fleksy. Choose the last option and the keyboard will install within your App. If you wish to reverse the process, do the same thing again and Fleksy will have been replaced with System. You just need to be aware of the ease with which one can go from text entry to Twitter and Facebook. Definitely a better mousetrap (or in this case, keyboard). You can get Fleksy Keyboard here and support for the App here. The developer advises that there has been an update to version 3.0 of the App. Fleksy is now available in over 50 apps on iOS! Select "Apps with Fleksy" from the menu to find them all. * Support for 8 New Languages!